A former Caliber Collision employee has sued the nation’s largest collision repair company, alleging the company had underpaid him for regular and overtime work for the past few years. Samuel Castillo, who worked for Caliber Collision in Santa Clarita, Calif., as a mechanic and auto body technican from 2007 until last month, filed Samuel Castillo et al. v. Caliber Bodyworks of Texas Inc. et al. against the Lewisville, Texas, company Tuesday. The complaint also sues 10 “Does” to be named later and seeks class-action status for the case. 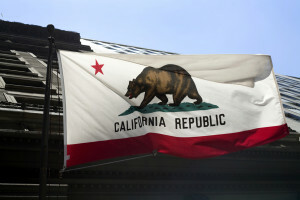 It estimates that he and more than 100 current and former California employees could also be owed for regular work time not paid at the minimum wage, overtime, breaks, and expenses. A Caliber spokeswoman reached Friday afternoon said she would look into if the 232-shop, 11-state network wished to comment. According to the lawsuit, Castillo was a non-exempt employee who received “piece-rate” pay, also known as “flag-rate,” which translated at times to him not having been paid minimum wage under California law. For those of you who pay or are paid purely hourly, piece-rate means that Caliber pays employees the same amount per task completed. This method, also used in industries like construction and agriculture, rewards efficiency — employees are paid for the number of bumpers they fix, brick walls they install, or tomatoes they pick, not how long it takes to do it. So if you’re a productive and quick employee, you’ll bring home a larger paycheck while your employer fulfills a contract faster or has more product to sell. But it gets more complicated when business is slow. Castillo’s lawsuit says that tasks at Caliber were assigned an hourly piece-rate, giving the example of a repair task that takes 0.8 hours. His “time card” would show 0.8 hours (48 minutes) whether the job took 10 minutes or an hour and a half. This is allowed, except under California law, it all has to even out to an employee making minimum wage; if not, an employer is supposed to make up the difference. Castillo’s lawsuit says that didn’t happen and Caliber didn’t pay him for all the time he was on the job but not working during the week. Instead, Caliber divided his daily earnings by daily hours and said that since the resulting figure met the California minimum wage, they’d met their obligations. Castillo says that isn’t allowed under California law. California’s minimum wage is now $9 an hour. A person is hired at a piece rate of $50 bucks per widget, and his employer will let him claim the industry average of two working hours for a widget, so he’s making $25/hour, much higher than minimum wage. while $25/hour x 2 hours x 5 days = $250. It recommends paying minimum wage during “‘nonproductive’ time” or switching pay altogether from piece-rate to hourly and then adding incentives atop that. The Law Review also encourage business owners to make sure wage notices and statements are accurate and up-to-date to meet California law. Though the Law Review advice applies specifically to California, it can’t hurt for employers and employees in other states to double-check their own statutes regarding piece-work rights. Castillo also says that while he was paid bonuses, they were improperly excluded from his wages the weeks he earned overtime. This meant he wasn’t truly paid 1.5 times his wage for working OT. Finally, Castillo’s lawsuit states, he wasn’t properly paid for breaks under this piece-rate system, and he was forced to buy his own tools and go out-of-pocket for other work expenses. There weren’t many other details provided about the allegations based on Superior Court records available online.